Are you looking for information about the world's oldest dog? Whether or not you want to find out which breeds of dog tend to have the longest lifespan, you're curious about the individual canine has been alive the longest or you want to know which breeds have the longest history, there are plenty of interesting stories about this topic. While the average lifespan for canines is estimated at 12.8 years, many factors impact how long a dog can be expected to live. Lifespan expectations vary by breed with smaller breeds tending to live as much as 50 percent longer than their larger counterparts. Here are a few of the longest-lived dogs on record. In September of 2009, Chanel, a wire-haired Dachshund, died at the age of 21. She was recognized as a Guinness record holder just a few months before her passing. Her owners were Denice and Karl Shaughnessy of Long Island, New York, who adopted her from an animal shelter when she was only six weeks old. After Chanel's passing, Otto, a Dachshund-Terrier mixed breed canine living in England, was named by Guinness as the record holder in the oldest dog category. He survived until January of 2010 and passed away just three weeks before turning 21 years of age. Otto's owners, Lynn and Peter Jones of the British town of Shrewsbury, adopted the pooch when he was just six weeks old. You can keep up with current official "animal extreme" record holders on the Guinness World Records website. As of this writing, Otto's successor for the title of World's Oldest Dog has not yet been named. If your dog has been with you long enough for you to wonder if he or she merits consideration to become the next title holder, consider submitting an application. You can review information on how to become a record breaker on the Guinness website, as well as learn more about the review process. While there is no common agreement regarding a single dog breed that has been around the longest, there are several groups that are credited with being among the world's oldest breeds. When looking at determining which breeds have been around for the longest time, you can easily rule out the ones that have come into being as a result of formal breeding programs in recent years - or even centuries. 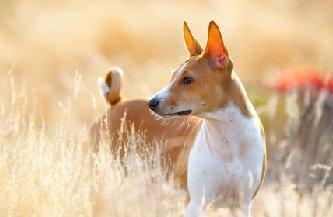 The oldest dog breeds are the ones that were domesticated thousands of years ago. Many researchers believe that the oldest breeds were first domesticated in Asia, and then journeyed with their owners to other parts of the world. Genetically, the oldest breeds tend to be more closely related to wolves than modern dog breeds. Images of the oldest breeds often appear in historical accounts from the days of the Pharaohs and other significant periods in ancient history. These are just a few interesting world's oldest dog statistics. If you're looking for further information or if you know a related fact that you'd like to share, post your question or statement in the comments section below.